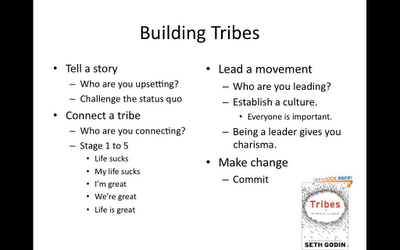 My talks in the last 3 months have included slides about building tribes or loyal communities. It scares me whenever I see an industry (like the IT industry) whose players are the same people, transferring from one organization to another, year after year. Hardly do you find new leaders being developed and later on, the organization naturally dies or lose its stature for poor leadership. People of various profession or expertise or hobbies who feel left out of the usual in-crowd. Barrier to entry is too strict that makes them unqualified to join. Barrier to entry hardly exist to the point it is too crowded. Supportive of a particular cause. Users of a particular product or service where newbies and experts meet. Tribes can be both formal or informal in structure. I believe business or advocacy initiatives today must see their target customers or audience as potential tribe members being reached out to. Current status quo it intends to challenge. From there, one seeks out and connect to prospective individuals who will see the value of joining your tribe. What you need to look for are people who will actively participate and contribute rather than just wait for things to happen and expect to just reap the benefits. These are people who come together to fight for their survival. They are often cast-out. They share the same sentiment and sees value of being together, makes them stronger. Those who gets in their way are treated as enemies that must be destroyed. A person reaches stage 2 when he or she realizes that what is wrong is within themselves in reflection to the situation around them. One begins to take action to correct this situation. Logan explained that a lot of us are stuck in this stage. We marvel at our success and praise the success of others. However, we treat each other as competitors even if we belong in the same organization or community. There is camaraderie and sense of pride for being part of the community. Members support and lift each other up. Your tribe has impact not only within your community but also to the public at large benefiting from your efforts. The kind of tribe members you will attract depends on the culture you instill in the group. Tribe leaders should strive to give every member equal importance as you lead them in actively participating. Leaders who are able to do this well builds up charisma where people follow you because they believe in you rather than forced to or left with no choice or worst, because they fear you. Once you have started a tribe and build a following, give full commitment in order to get the same dedication from your followers. When the club started last December 25, 2003, the story was clear. It is a community meant for people who would like to learn more about e-commerce and receive updates, new developments on a regular basis. It shall be a venue to meet fellow practitioners and learn from each other. A fee was set as a pre-qualifier to ensure that those who are serious and willing to pay a membership fee get to be part of the community. 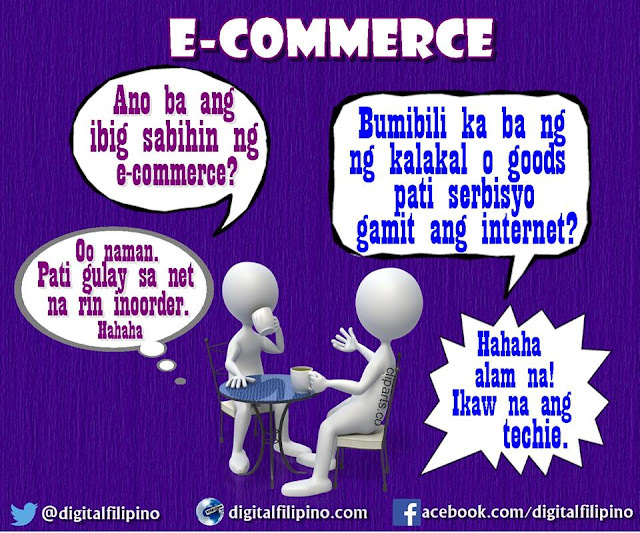 To date, most of its members are e-commerce entrepreneurs, consultants, practitioners, and consumers. When the writing project was first announced 3 years ago, the message was to help out new blogs (and their bloggers) to be recognized for their potential as becoming influential. 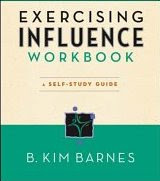 Who decides what makes a blog or blogger influential depends on the blogger participating in the writing project. As the year progress, the writing project was able to build a tribe and the process gets improved year after year based on challenges encountered, feedback, and inputs given. To further demonstrate commitment to the writing project, recognized emerging influential blogs through the years were introduced and talked about in various conferences where I get to speak about blogging. The success of the writing project, I measure, based on how the blogs and their bloggers have evolved. 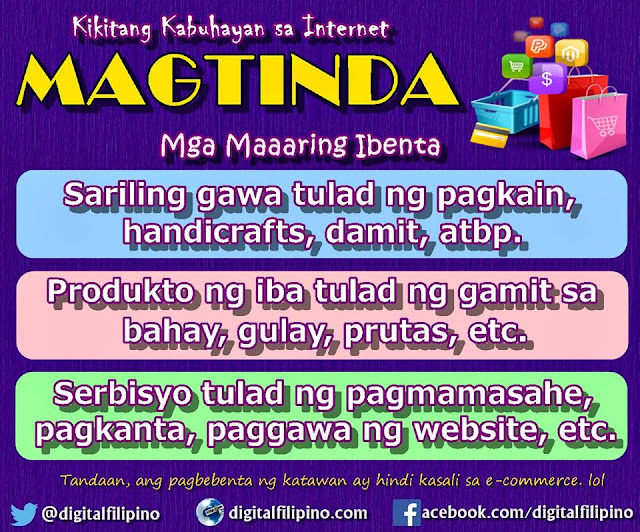 Some have used their blogs as platform to influence and introduce advocacies, business, new blogs, among others. Others decided to quit and start something anew. I hope you are not the kind of person who looks down on people who "quit" or "fail" as those who succeeded have become experts as they learn from such experience. As time goes by, new needs are realized and current tribes will not necessarily be able to fill the gap. That is why those who spot it are encouraged to take the challenge of taking the lead. For as the long as the skills and the will to make it happen are there, one can take the initiative of forming one. Godin reminds aspiring tribe leaders to get over their fear of being questioned about their "authority" as that gets earned naturally in the process. Remarkable products, services, projects, and advocacies usually get their share of criticism. Don't fear of being criticized especially if it is given to you with practical constructive inputs on how to improve. I often meet people who expressed a variety of concerns and challenges affecting their profession, personal advocacy, or the community they are part of. Normally, I ask how they think it should be resolved and would follow that up with encouragement of building a tribe and take the lead. Very few though will pick up on that challenge for one reason or another. But we need leaders now, more than ever, that can take us to the next level for a particular issue or concern. According to Godin, don't let those who say it is not needed, to stop you, for they are usually the ones wanting to protect the current status quo.